Special occasions demand a special venue. 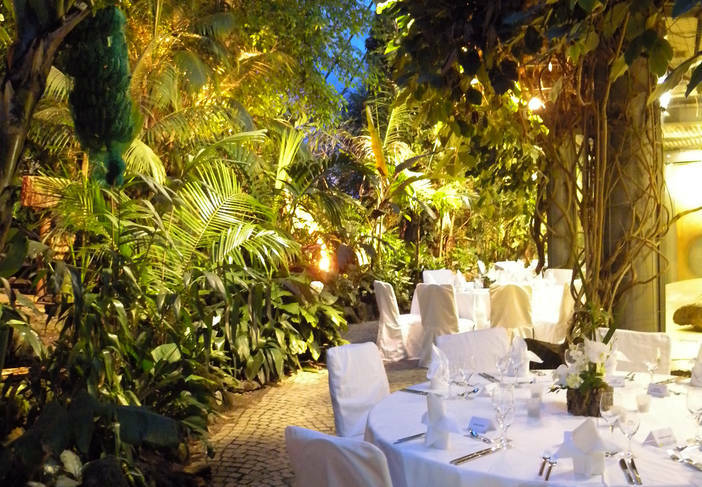 Celebrate your birthday, Christmas party or corporate event at Hellabrunn Zoo near the chimpanzees or lions. It will be a party you and your guests will remember for a long time, particularly the unique atmosphere of the zoo. The three available animal houses can accommodate up to 140 guests. One of five professional catering companies will help you to create the dining experience you envision as well as a stylish decoration and lighting. Or are you looking for a well-equipped conference room in a nature reserve without having to make a long journey out of the city? Our Species Conservation Center has everything you require to organize your meeting for up to 90 people. Whether you come to celebrate or work - we look forward to you and your guests.